We can’t believe we hadn’t stumbled on this sooner .. this was doing the round on twitter today, when it appeared as a link on the TransitMaps Tumblr, but it’s actually by the rather brilliant Max Roberts, who has created literally loads of different transit maps. 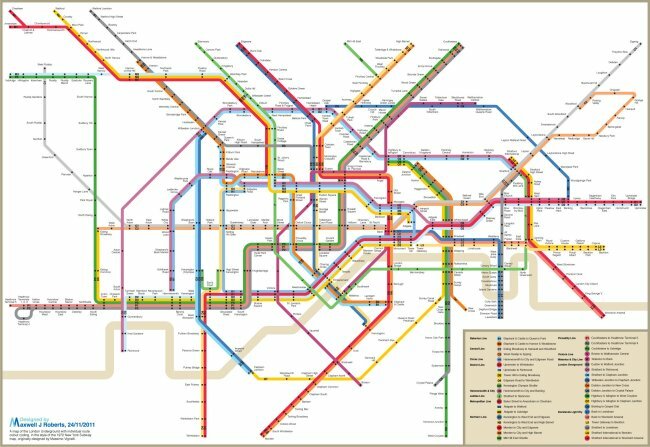 It’s a map of the tube, but done in ‘Vignell’ New York style – where the map shows the actual pattern of services. 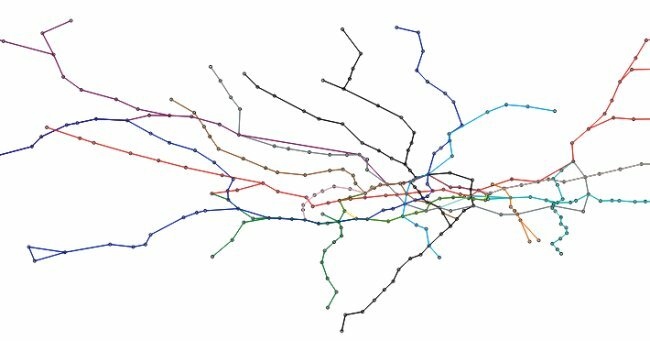 Look at how complicated Earl’s Court becomes for example – but rather beautifully shows how the service to Olympia actually is. More over on Max’s own website here, of course. Now this – we love! 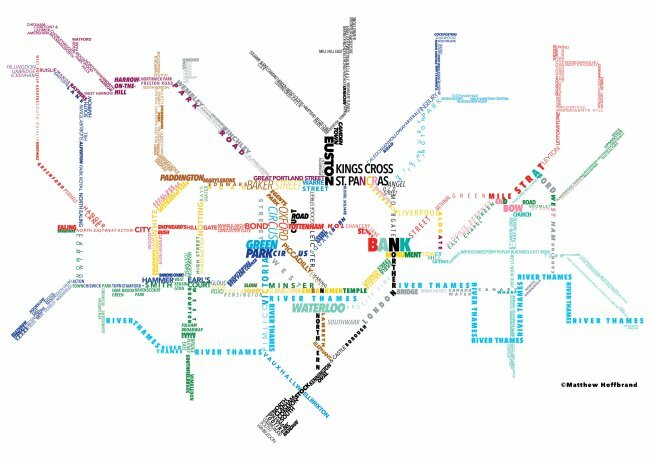 We heard from Matt Hoffbrand this week who presented us with a Tube map made up from words – a bit like when you see a mashup of words on a particular topic all put together, and the more popular words appear in a larger front. So we’re assuming here that ‘BANK‘ appears nice and big, because it IS the busiest interchange on the network. Matt makes more of these (he’s a Data Analyst by trade) and you’ll find them over on his Twitter feed. 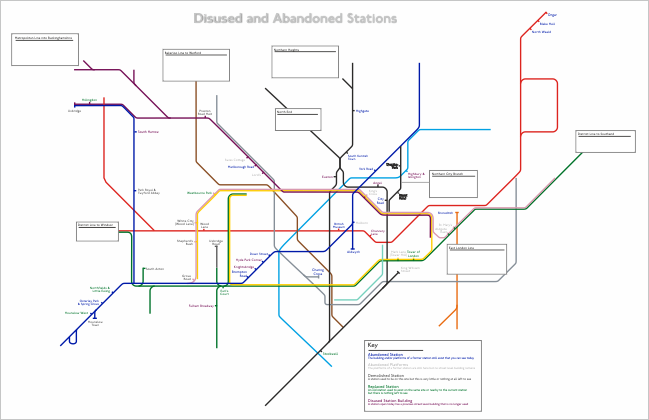 We’ve updated our Abandoned Stations map again, tweaking a couple of things and adding in some new surface buildings at Knightsbridge and Chancery Lane. As always, click on the image here to get a larger version! 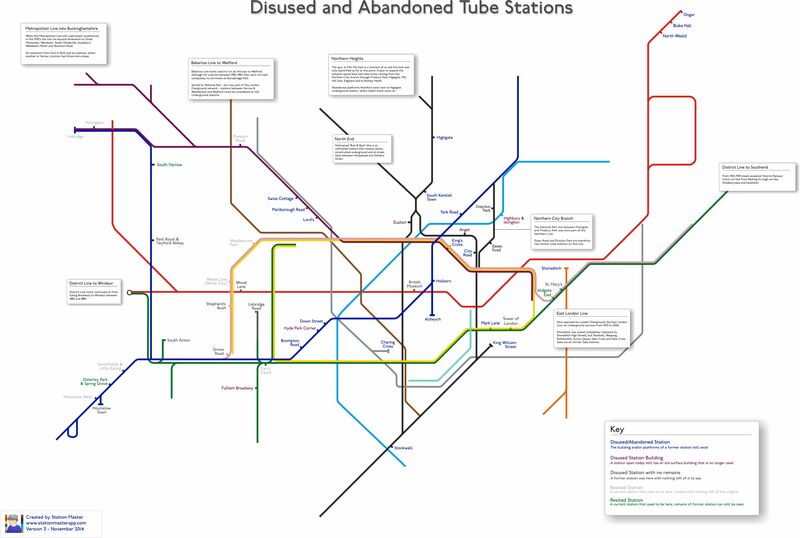 As we’re doing a lot of work at the moment on disused & abandoned tube stations, we thought we’d bring you an update to our Abandoned tube station map that we brought out a while back. 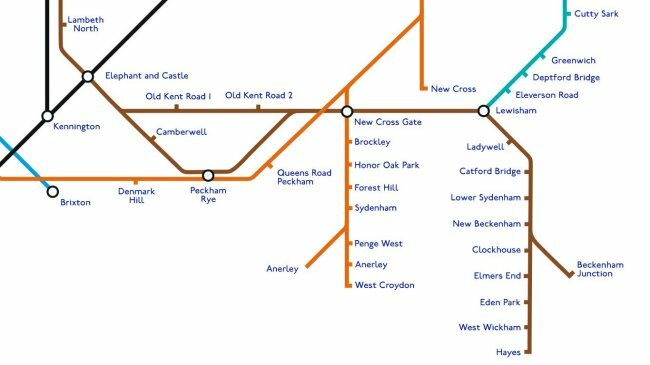 It’s got a few tweaks and updates – including one station that previously didn’t appear on it (Uxbridge Road) that we’ve now added. Click the image for the full-size version! It’s always interesting to see where old links on the Internet take you. 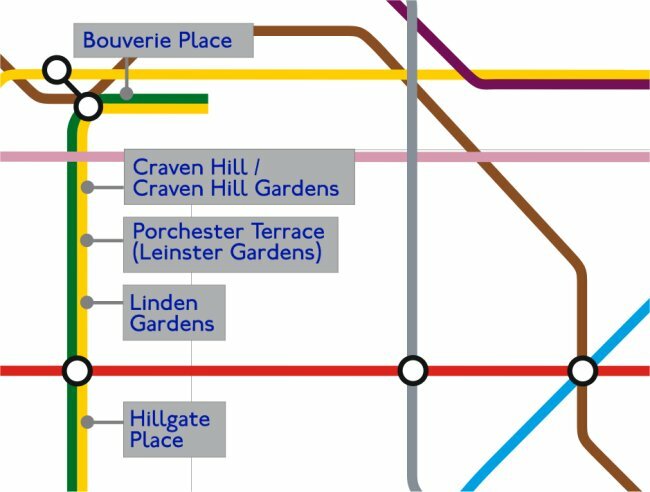 Whilst clicking around, we discovered an old BBC article that spoke about the launch of the London Overground back in 2006, and the new proposed tube map. It seems that at the time the designers planned on having interchange ‘blobs’ all along the whole stretch where Overground trains stopped at the same stations as Bakerloo Line trains. This had never been considered on parts of the map where two lines ran on the same tracks (e.g. 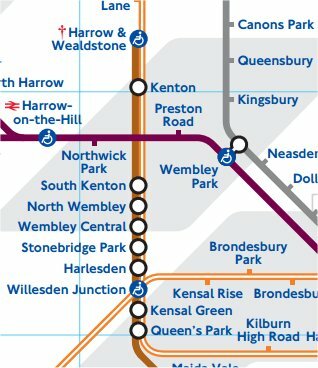 the Metropolitan and Piccadilly lines out to Uxbridge) but it seems that it was considered here. Considered, not finalised because obviously they recognised that it was ugly, and didn’t go with it for the final version. So on our Twitter feed a lot recently, we’ve been playing the ‘WHERE AM I?’ game, with a piece of cut and cover track exposed in the open in a cutting, and we’ve been asking you to try and name where it is. Some are harder than others, and amazingly some people have got some really hard ones. So we’ve been putting a map together – a map of all the places where you can see the Underground (mainly at cut & cover level) where it breaks out into the open for a moment before disappearing back into a tunnel. It looks something like the image below. Would you be interested in seeing the finished variant? 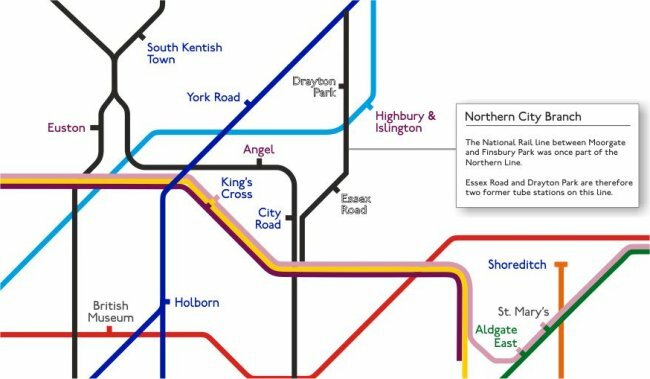 A consultation is now open for proposals to the extension of the Bakerloo Line to head further into south east London, the BBC ran a story this morning. 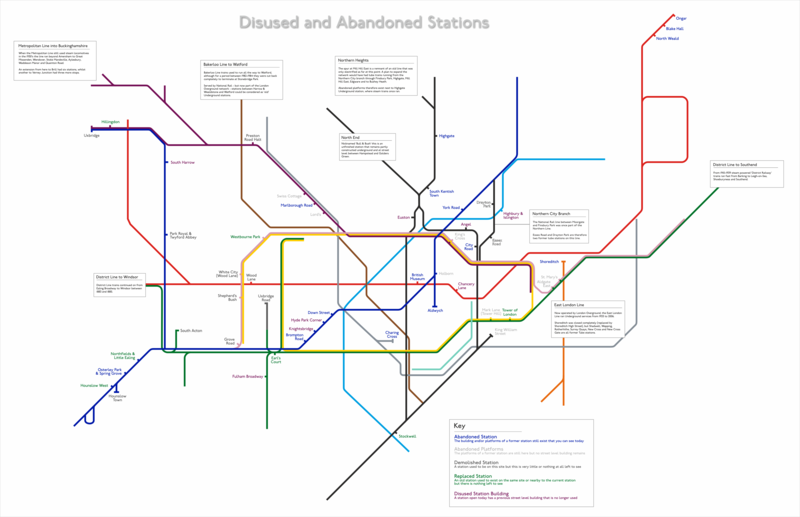 Whilst there’s a nice graphic of the proposed stations, none of them were in ‘tube map’ style, so we put something together as to how it may look on the tube map.